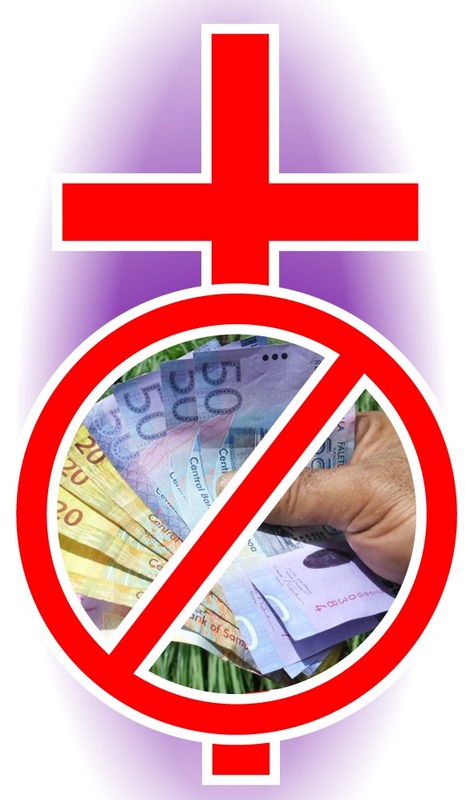 In this Sermon from Samoa I explain the nature of [Legal Tender] money as inherently evil as it based on usury, a totally prohibited practice. I explain the significance of this understanding then share the appropriate actions Christians should be taking. This is especially significant in the light of increasing belief that with exponential debt increases, there will be a coming global financial meltdown. It’s a vital subject, one that I believe is second in importance only to the identity of Christ. In previous posts I have detailed aspects of the true nature of money. I’ve identified that all Legal Tender money is accursed, for it is based on usury, an abomination before the Lord – clearly & strictly prohibited in Scripture. I’ve also proposed a practical solution to ALL these problems with a solution that I call the Perfect Traders’ Currency. I’ve also shown how Pope Leo X first legitimised the practice of Usury within Christendom, a slippery slide that has led to widespread usurious conduct within the global Christian community. In this post I get specific with Christians explaining how they have a unique set of challenges in the light of the words of the bible. Ignorance of scriptural instruction is no excuse. While I accept that many do not subscribe to Christian teaching it is arrogance and foolishness for Christians to rant, preach and proselytize claiming variously that God loves us; Jesus saves us; we’re all going to heaven if we only but believe . . . and then live under a curse because we ignore something so simple as avoiding participation in usury. The scriptures are very clear that usury (the charging of interest on money) is prohibited, wrong and simply evil. Many references in the Old Testament make this clear. The only one authorisation of usury was for God’s people to use it as a form of enslavement of their enemies. In the New Testament Jesus explicity condemns the practice of making profit on lending. He does appear to endorse the charging of interest in one parable but this is widely misinterpreted with a shallow read by many commentators with an agenda to maintain the excessively-Capitalist status quo. The entire body of Christian thought for the first fifteen hundred years was unanimous that usury was condemned in Scripture – and this is both the act of lending AND borrowing at interest! All Legal Tender monies the world over are now issued in interest-bearing circumstances. Our current norms were first established in 1694 when private individuals (the Bank of England) usurped the King’s perogative to issue coinage and began lending to him at interest. This privatisation gained serious traction in 1913 when US President Wilson signed the Federal Reserve into being (a privately owned institution), and the majority of the world followed suit in the next decade. Central banks the world over are also privately owned (the few that are not actually privately owned are privately ‘controlled’) and they all settle with the Bank of International Settlements (again all privately owned) all issuing their monies ‘at interest’. This arrangement is legitimised by governments who ensure a monopoly situation continues to exist. All countries by law prohibit the creation of competing currencies and we are all forced to use this ‘Legal Tender’ money to pay taxes. In a practical sense we are also bound to use this money for the buying and selling of goods and services, as using alternatives for private trading are less convenient. Christians by and large go with the flow, participating in the corrupted system, mainly because they never think about it and if they do because they don’t want to ‘rock the boat’ or ‘pay the price’. The situation then is that since 1694 in England (and all her children countries that based their monetary systems on the British Pound), and since 1913 in the USA (and again all the countries that based their monetary systems on the USD) a politically enforced financial system has been the default – one that does not comply with biblical instruction. The consequences of privately issued interest-bearing monies has been consolidation of wealth and power, aka “the rich getting richer and the poor getting poorer”. There are other side-effects such as the normalisation of ungodly practices – greed and insensitivity through rampant capitalism; widespread acceptance and indeed worship of the democratic political system that empowers the elite more than any other known political system and an ungodly focus (indeed worship) of economic matters over and at the expense of other ‘quality of life issues’. 1. Become aware of the usury issues. Most have never considered these matters. There is good reason for that and it is no accident. We are being deliberately deceived to avoid discussing usury, biblical instruction in the subject, and to consider alternatives. You do NOT see alternative positions discussed in schools, universities, the media OR indeed most bible schools! 2. Accept that the bible is totally clear on the matter of usury. This is a hard one to accept because it is a paradigm changer. We know instinctively that if we accept this fact (that usury is wrong) that everything we do such as getting a mortgage, receiving interest on investments, or even using a credit card is accursed. Most of us do not want to alter our status quo, thus will ignore such challenges and defend ourselves. We turn a blind eye to it or justify our deliberate ignorance by looking at social norms etc. 3. It seems too hard to escape the trap we are all in. The issue appears too big, too enormous a challenge to deal with at an individual level, therefore we avoid it altogether. In response to these points, I say . . .
1. Becoming aware. My blogging and writing is raising the issue. I do not pretend to be one attempting to change the world but my words are out there and those that read them have the opportunity to learn, grow and be leaders in their centres of influence. Jesus didn’t speak to all the world when He conducted His Ministry on earth, but He did speak the truth to His audience of the day and the world eventually heard Him as others took them up. 2. Accepting usury as prohibited. Only fools and those with an agenda can argue against the clear teaching of scripture. People who do not accept this are not the leaders God will use to influence His people in the coming days. Let them go their own way in ignorance. They will pay the price. 3. Dealing with big issues. Jesus stunned His audience time after time when confronted with big issues. Always, without exception He brought the issue back to individuals. He gave example after example where one individual’s act of faith was worthy of merit. He cast away the entire issue of regional poverty and focussed on one woman’s gift of faith to Him. He nailed a rich man’s folly in trusting money more than God. He identified individual sinful conduct one by one and spoke of individuals’ faith in glowing terms even if at a distance, or even if such small amounts. This is the way that He tackled global issues – at an individual level. Thus too, with a global monetary system that is based on evil. Our job as Christians is NOT to fix the global problem . . . it is to be obedient ourselves, today, here, now, in what we know and have the faith to do. Moving into the solution now, it is essential for a Christian to recognise that the use of interest-bearing money (Legal Tender) is a strictly prohibited evil. When you receive income by way of the USD, Yen, Euro or similar, (forget whether this is necessary, practical or not for the moment), you are financially supporting those who thumb their noses at God. If you do not abhor this reality then you simply do not love the Truth. Determining that something is wrong and that it must change on your watch, in your life, and in your circle of influence is the starting point. Cold turkey extraction is unrealistic for most of us. God knows full well the circumstances we are all in BUT when we turn to Him and seek solutions, He is always gracious to show us ways out of the pickle we find ourselves in. If you are a Christian saved from your previous blindness and pride and perhaps have grown to love Him then is that not enough proof that He can probably deal with other lesser things like monetary issues as well? 1. Identify all financial events in which you are participating in interest/usury. Look at mortgages, credit cards, overdrafts and loans. These are the obvious ones. Also consider interest-bearing bonds and investments too for the biblical prohibition is on usurious practices, regardless of which end of the evil you are on! 2. Determine the passive participation in usurious practices. This is usually the times that we use the Legal Tender currencies for trading – wages or salary is the most common form of passive participation, but the buying and selling of goods is another. 3. Seek simple practical ways to avoid the identified areas of failing (sin) and start small. There are literally millions of ways to avoid the use of Legal Tender money for a million circumstances. For example, if you know the owner/manager of the local cinema and you frequent it paying with interest-based Legal Tender cash, speak to him about what you can do to get given gift vouchers in return for goods, services or favours you can offer. Mow his lawns. Take him cakes. Feed his children. Whatever . . . that’s just ONE simple example! Perhaps instead of taking cash from a customer who is clearly struggling financially, seek ways to trade with them what they DO have in abundance – products or services perhaps. You’ll avoid participating in usurious conduct AND make a friend out of it. Instead of seeking a raise from your employer in cash, offer instead to take things that your employer has in excess rather than cash. In all of these examples there are opportunities to INCREASE the value you receive, and that is aside from the biblical blessing that comes by recognising that there is something seriously wrong with the cash issued by the banking cartel. 4. Decide to consciously extricate yourself from the biggies such as debt or a mortgage WITHOUT a time/date specified. The reason I say this is that it is not possible for someone yet in the state of blessing to be able to understand the way things work when we are. If a Christian is wanting to move out of debt (say to clear a mortgage) they are naturally limited to planning and measuring how long it will take in their current circumstances, with their current financial income. What they cannot measure is the future world where financial blessing is the norm, so for example the mere decision to quit a mortgage for a biblically sound reason (an act of obedience in faith) unlocks the closed door of curse and enables blessing to flow. How is a struggling Christian family to ever know that there is say, a brother who is about to take his family overseas for say three years and would really love to have a trustworthy family (like his) to look after his ten-acre lifestyle block while he was away – rent free? These are the ways that the Lord rewards those who hear Him and obey. Now in looking at the future, there is widespread agreement that serious financial trouble is around the corner. This trouble is recognised and spoken of in scriptures (Daniel & Revelation) and comes in the form of an implosion of the global political/financial systems. In economic circles this is seen more as simply an economic meltdown/depression, increasingly viewed as something many times worse than the Great Depression. Personally I think that this event is a lot further off than many predict and that war will be associated with it, probably preceding it, for this is the historical method of the elite to further profit and consolidate their power. What is clear though to people who do understand the power of trading outside of the economic system is that a shortage of money (Legal Tender money) will occur. For Christians (and others as well) who understand that the Legal Tender monetary systems are inherently evil, this will matter little . . . in fact it will be the greatest opportunity in the history of the planet to share the wisdom of God, practically as they know how to trade; operate debt and interest free; have systems of trading, building relationships, support structures and are able to share their assets, their wisdom and their techniques with others in various states of crisis. And the beginning of all of this wisdom/revelation is to simply read the bible; understand that usury is prohibited; be obedient and creative to find ways to live outside of the evil ways of the world. Now there are costs as well as benefits to this obedience of course but the truth contained in this post remains – usury is wrong; all Legal Tender moneys the world over are usury-based; it behoves us as believers to act in accordance with clear teaching of scripture. I finish this Sermon from Samoa with practical things that I do to comply with my understanding of scripture. 1. I seek to trade in the gift economy rather than to trade with cash. This extends to EVERY interaction I have with others, personally and in business. Camp Samoa is a developing community that is in transition from a backpackers. I am very happy for people to ‘work off’ their camp fees and to bring soap, chicken, peanut butter or toilet paper as a contribution to the running costs. Yes, of course THEY used cash to buy those things but I DIDN’T and this is the commitment to God’s word that matters to Him. I have never sold my bananas, coconuts or produce in the four years I have been farming this land – not one cent. I have always given it away. In return others will help me with welding, timber, transport, vehicle repairs, favouritism in a village or political situation, friendship and more. Sometimes I win. Other times I lose. It matters not to me for I wish to avoid the use of cash. 2. I avoid borrowing at interest. I have no mortgage and never will again. Clearing my mortgage in New Zealand when I sold to emmigrate to Samoa was an enormously liberating act. I would prefer to live in a cave a mile away from civilisation rather than to incur debt such as a mortgage – seriously! 3. I ‘work’ third parties for win-win situations in trade. Knowing that others have cash and are happy to use it if it benefits them, I engineer circumstances between two third parties to get mutual benefit. Someone in New Zealand for example who owes me a favour or wants something from me will pay credit onto someone’s mobile phone in Samoa so that I can benefit for what I need. It could be a taxi driver, shopkeeper, the local bus service, a friend who needs help or whatever. Doing this helps two people as well as myself. It is also amazing at what relationships develop as a result of creative trading. 4. I give. Much of my written words are free. This is not just charity or me simply being generous . . . it is that I know and understand that when you give, and do not seek financial reward, that every now and then somebody says, “Thank you” and has the potential to be another kindred spirit, regardless of where they are on the globe. The reason I give is because I can. When we remove the focus on cash, money, business we have less need for the interest-bearing stuff that the bankers create. This depowers evil and opens the doors to His blessing, something that I’ve been appreciating more and more as each year passes. I’m still as broke as I was thirty years ago, but a lot wiser! Thanks for reading this post today . . . there are other posts on this website too relating to money, a true understanding of which I believe is the second most important question of life.